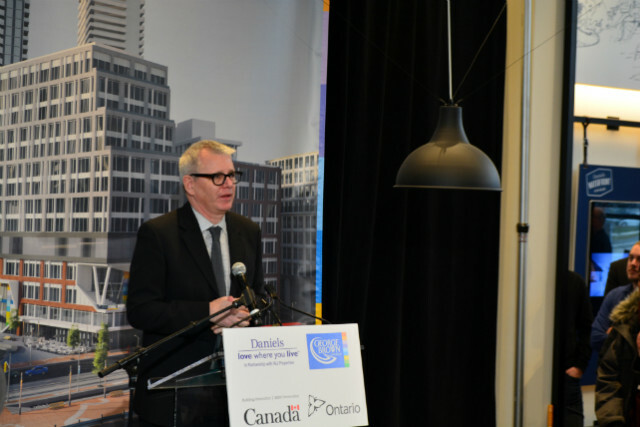 On January 23rd, George Brown College representatives, The Daniels Corporation, and members of the federal government, including Adam Vaughan, Member of Parliament for Spadina-Fort York, gathered at the Daniels Waterfront - City of the Arts presentation centre for a big announcement. 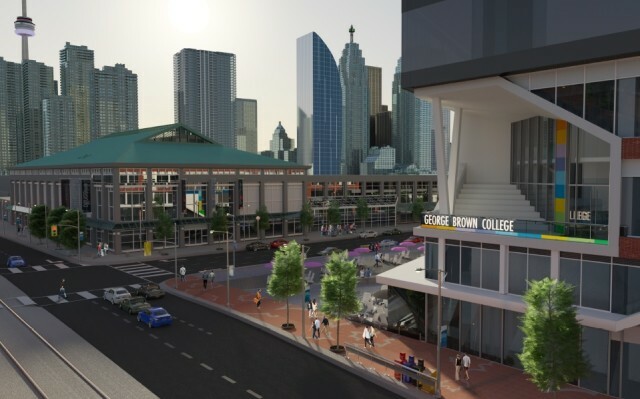 George Brown College officially announced the Innovation Exchange and expansion of their waterfront campus in Toronto! 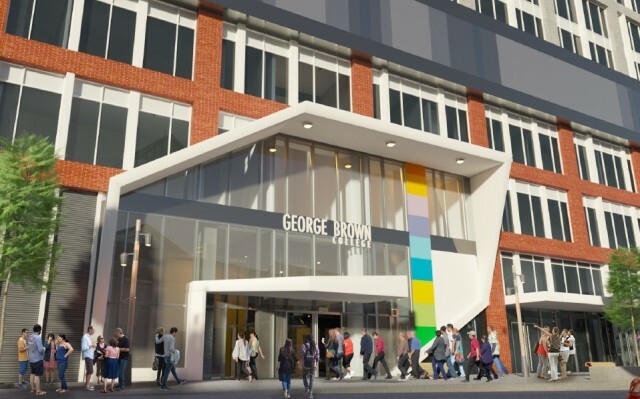 The $59 million expansion will house part of George Brown School of Design with a new interdisciplinary design studio, Institute without Boundaries, and the Innovation Exchange, which will focus on fostering design solutions for the smart economy. 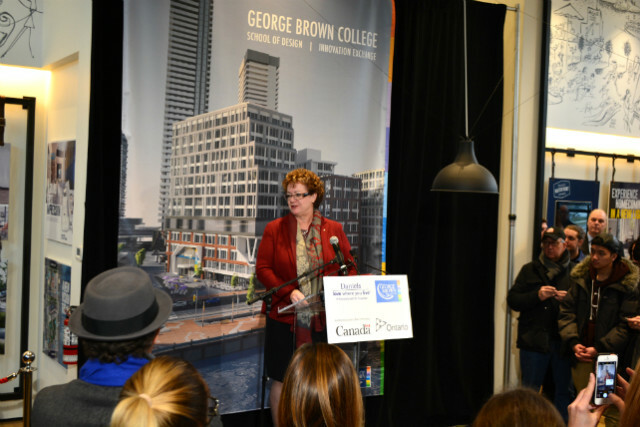 Through the Post-Secondary Institutions Strategic Investment Fund, the federal government is supporting the new George Brown College development at City of the Arts with $15.6 million. “You don’t just build housing, you house people. 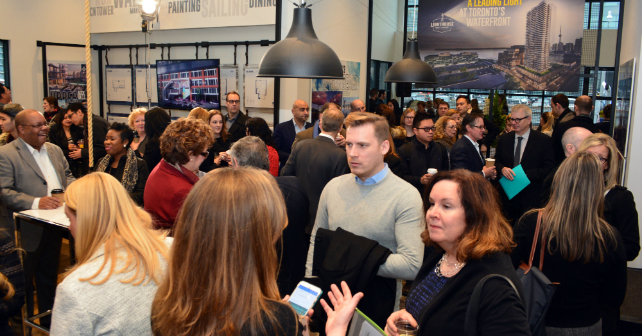 When you house people, you don’t just build housing, you build communities,” Vaughan announced. 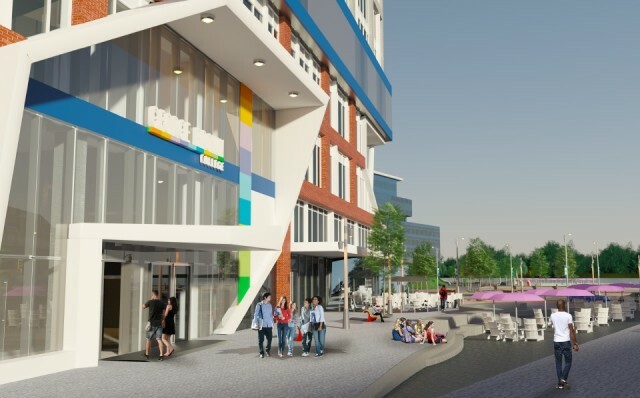 According to a release from George Brown College, approximately 1,800 students will study at the Innovation Exchange. Programs expected to be offered include graphic design, interaction design and development, game development, game programming, game design, concept art for entertainment, interactive media management, design management, an interdisciplinary design strategy. The Innovation Exchange will produce around 600 graduates annually, adding a strong, educated, and well-trained workforce to our labour market. 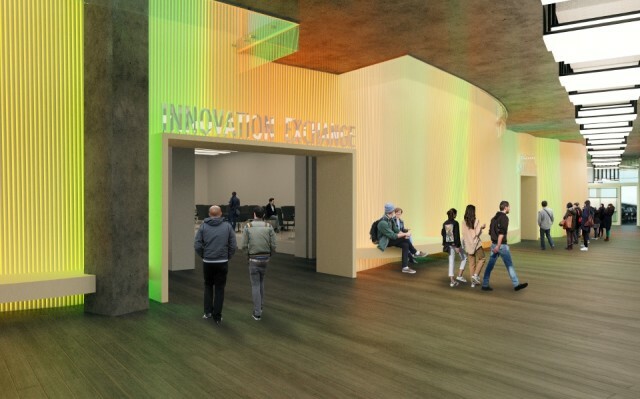 The 20,000 square foot Innovation Exchange will feature a 200 seat flexible meeting space, nine classrooms, 19 labs, nine study spaces, and a 135 seat auditorium. 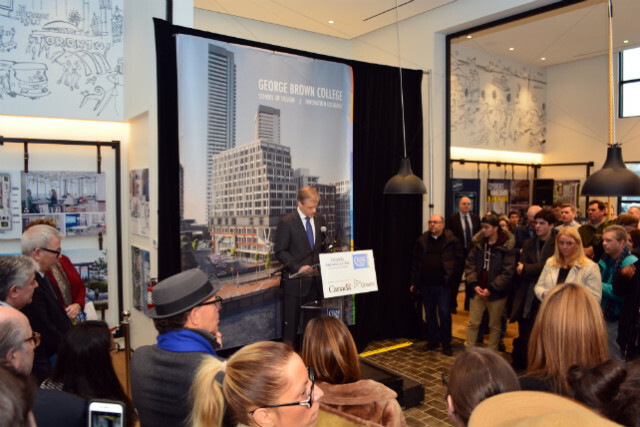 By winter/spring 2018, Daniels will deliver the property to George Brown College, and the Innovation Exchange will open in fall/winter 2018. 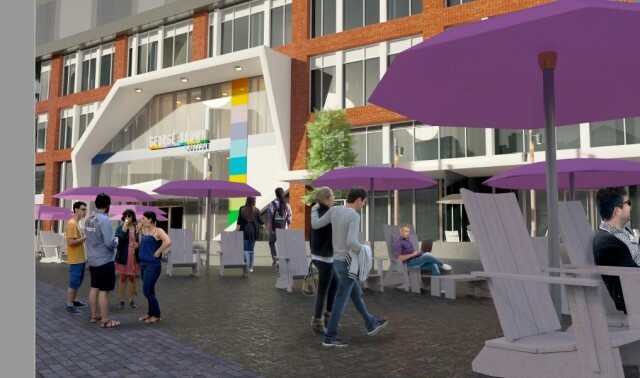 There’s so much happening at Daniels Waterfront - City of the Arts! Excavation for Lighthouse Tower is currently underway on the north parcel of the site and the concrete is being poured on the sixth floor of the office condos on the south parcel. 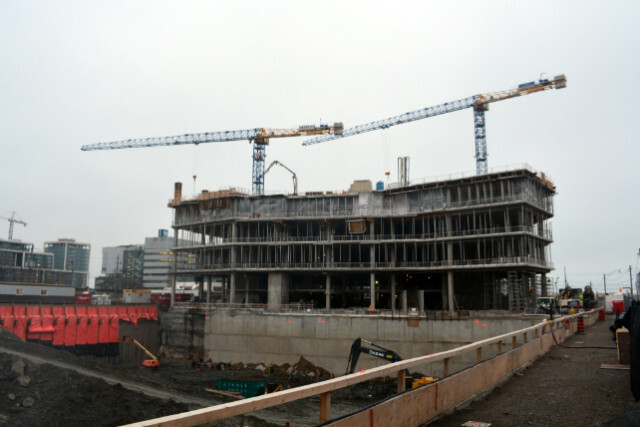 The office building at 130 Queens Quay East is scheduled to top off this July. 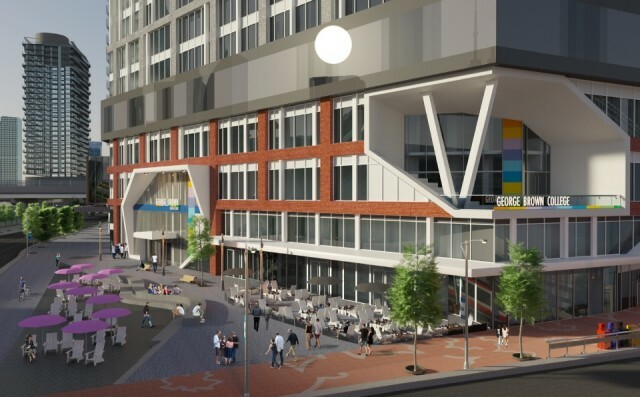 There are already many creative organizations planning to occupy 130 QQE, including Artscape, Colleges Ontario, OCAD University, Remix Project, Manifesto, and Daniels is moving their head office there. 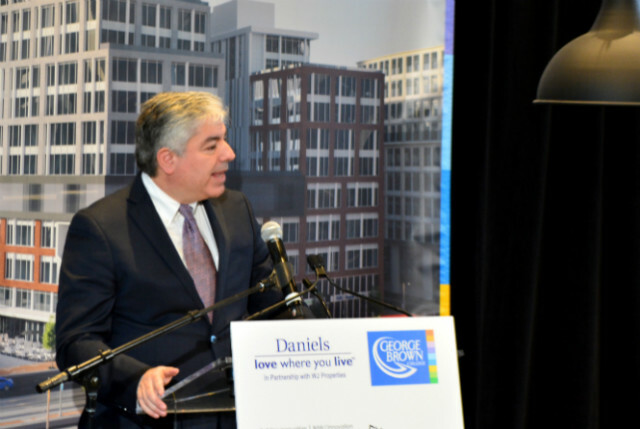 Daniels is also collecting registrations for Lighthouse East Tower, the second phase of residential at City of the Arts. Join the Inner Circle Program for exclusive info and details regarding Lighthouse East Tower!